Chichester residents ‘deserve’ to see that all the options for A27 improvements, including a northern bypass, have been fully considered, according to West Sussex County Council’s new chief executive. In a wide-ranging interview with the Observer, Nathan Elvery said the authority had no agenda to get a northern bypass built, despite it demanding to known why Highways England dropped the two northern options from its public consultation, which closed late last month. He argued that the process needed to be more open and transparent, and while any decision would be ‘contentious’ and there was not an ‘ideal option’, improvements to the A27 were ‘desperately needed’. If Option 2, which includes a Stockbridge Link Road, is the one that is given the go-ahead by Highways England at the end of an open and transparent process, the county council would work to push for what was needed to make the option deliverable. Mr Elvery, who took over the role three months ago, said: “I think our residents deserve to see that all the options have been considered. During the consultation the issue proved polarising and John O’Brien, WSCC’s cabinet member for highways and transport, has written to Highways England to relay the ‘strength of feeling’ caused by the withdrawal of the northern options. Since joining the council Mr Elvery has held a series of public engagement sessions with staff, as he said: “With an organisation of this size you can’t be an effective chief executive until you have got staff on board and we have 4,500 staff right across the county. He wanted to create an open environment where staff are encouraged to share proposals and ideas, with staff surveys showing employees wanted stability in the senior management team and more up front discussions. Challenges facing West Sussex included ensuring children have the best start in life, promoting economic growth, and devolution. As an enabler in education, the county council’s role was to work with schools to drive improvements, help them ‘recruit the best teachers’, and promote skills business would need in the future. Although not limited to education, the county council needed to help find solutions to recruitment problems in West Sussex around housing and transport. On devolution, Mr Elvery described the approach taken in West Sussex, East Sussex, and Surrey as ‘pragmatic’ as it was important to get as much agreed now, so when they get to the deal itself ‘it is intact and secure’. This was because some of the areas that had got out of the blocks quickest on devolution were starting to see their bids fall apart. The meetings around devolution were already improving working relationships not just with council leaders, but with chief executives and top officers. Regeneration projects were an example of partnership working with district and borough councils, but to stimulate economic growth in West Sussex, Mr Elvery explained that they had to do more than just build ‘nice places’ to attract businesses to the area, with a need to boost apprenticeships and ensure that young people with the right skills were coming out of their schools and colleges. The common consensus was that all authorities were operating in a ‘very difficult climate’ and devolution could bring additional resources into West Sussex. Meanwhile he called proposals to give Police and Crime Commissioners control of fire and rescue services a ‘complete distraction’. 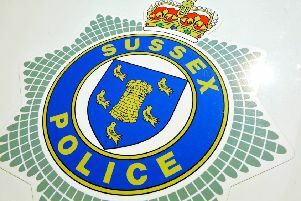 As part of Government proposals Sussex PCC Katy Bourne is preparing a business case to examine if there is a local case, but WSCC has already signalled its opposition to proposals. A Government announcement on airport expansion in the South East is expected later this month, and Mr Elvery thought allowing new runways at both Gatwick and Heathrow would send a ‘compelling message’ to businesses looking to invest in the UK. An independent report by Sir Howard Davies recommended a third runway at Heathrow last July, but ministers have spent the past year delaying a decision. However in a speech at the Tory Party Conference this week, Transport Secretary Chris Grayling explained that post-Brexit building another runway in the South East would send a signal that Britain is ‘open for business’. Both road and rail infrastructure in West Sussex needed ‘significant investment’, but he thought Mrs May needed to send a ‘compelling message’ to businesses looking to invest in the UK following the referendum result, where the majority of voters backed leaving the European Union. Fracking is not right for West Sussex and would put its ‘beautiful landscape’ in danger, Mr Elvery also suggested. He explained that one of the external challenges facing West Sussex County Council was promoting economic growth, and argued that ‘we could do much more in sustainable energy’. The county has been at the forefront of the battle against hydraulic fracturing, also known as fracking, where water and chemicals are pumped underground at high pressure to split apart porous shale rock to release trapped oil or gas. Exploratory drilling bids have been refused near Fernhurst and Wisborough Green, while back in the summer of 2013 environmental protests against fracking at Balcombe attracted national attention. A windfarm off the Sussex coast is currently underway, while a number of solar farms have been built across the county, including a major project at Tangmere. Your Energy Sussex ,a county council-led partnership, is advancing more schemes.